The D Day Control Centre was built to the immediate west of the Stokes Bay Bathing Station. 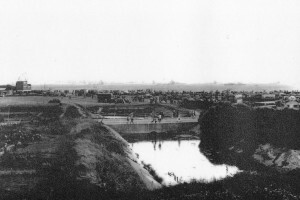 It consisted of a square structure built on brick pillars with a lookout on top. 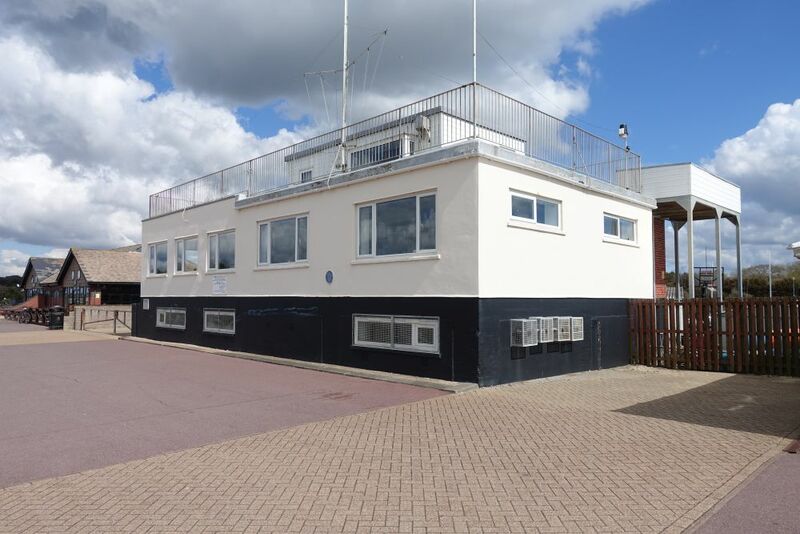 The Stokes Bay Sailing Club have accepted the tenancy of the former Admiralty Control Building. Annual rent £30. 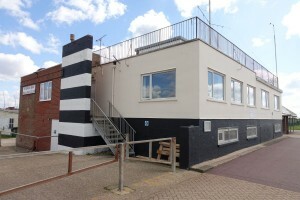 The club expanded the building by adding an extension to the west side, doubling it in size. The pillars supporting the old section were enclosed forming a lower floor/basement area. Access to the lookout (bridge) was originally by an iron ladder. The western portion of the Sailing Club H.Q. was added after the War. The east side of the Sailing Club H.Q. is the old D Day Control Centre. The brick pillars that supported it can be seen if you look closely. 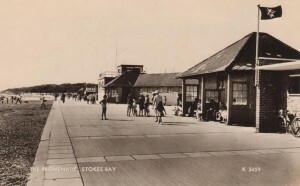 The plans for the construction of the four D Day embarkation hards at Stokes Bay, Designated G1 to G4, are dated November 1943. 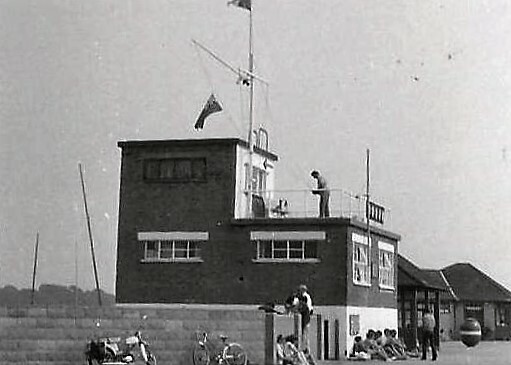 The D Day Control Centre is not shown on the overall plan of the D Day sites nor on the more detailed one for Hard G3, which was located where the present day Bistro and Pebble Beach Cafe have been built. The plans instead indicate that the Senior Hardmaster’s Office and telephone exchange was sited in the Stokes Bay Bathing Station, together with messing facilities for 10 officers and 120 men for Hards G3 and G4. 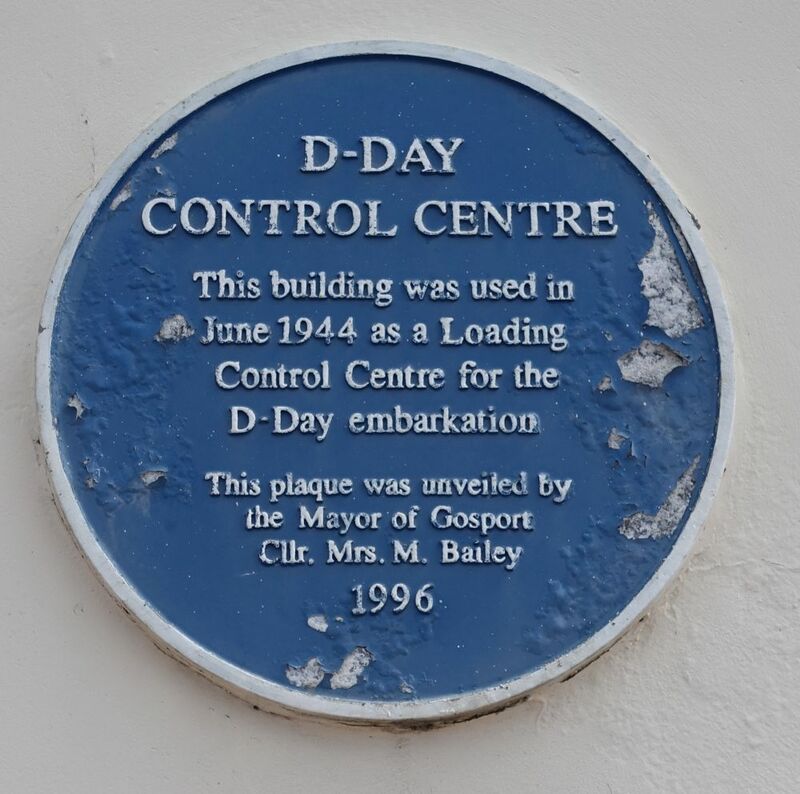 It is therefore safe to assume that the D Day Control Centre was built as a last minute necessity just prior to D Day, when the number of officers required to control the embarkation was increased. The bathing station with D Day Control Centre beyond, before it was enlarged. 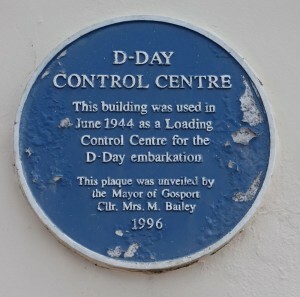 The D Day Control Centre was given a Blue Plaque by Gosport Borough Council in 1966 to commemorate its significance as a last remnant of the D Day activities at Stokes Bay, most of which have now been destroyed. 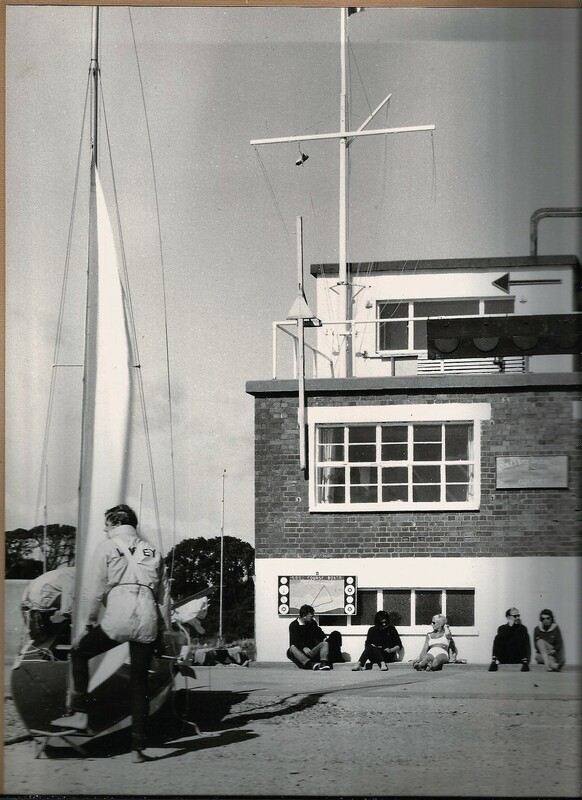 The plaque is fixed to the right hand side of the building as this was the original structure before it was extended by the Sailing Club. If you look beneath it you can identify the original brick piers that supported the raised floor of the building.